Audioboom / New American Civil War: 2 of 2: Regicide and Trump: "We don't want to go back. We want to win." Michael Vlahos, @JHUWorldCrisis. New American Civil War: 2 of 2: Regicide and Trump: "We don't want to go back. We want to win." Michael Vlahos, @JHUWorldCrisis. 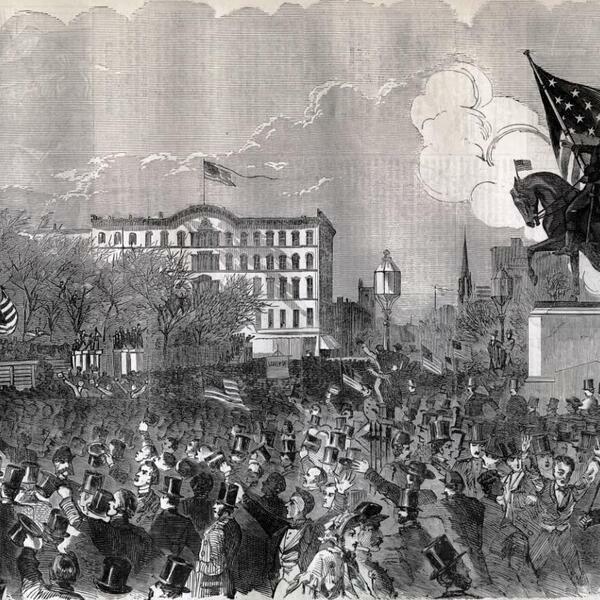 (Photo: "The Great Meeting in Union Square, New York, to Support the Government, April 20, 1861" originally published in Harpers' Weekly May 4, 1861.